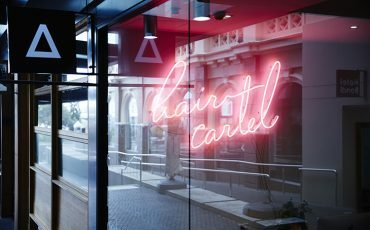 Tucked inside the sleek polished concrete Beach House arcade on Bondi’s buzzing Campbell Parade is hip salon Hair Cartel. With its neon pink sign and crisp, modern interiors, the stylish space is perfectly at home in the fashionable retail precinct, alongisde the Tuchuzy boutique and trendy eateries Miss Chu and Sonoma. 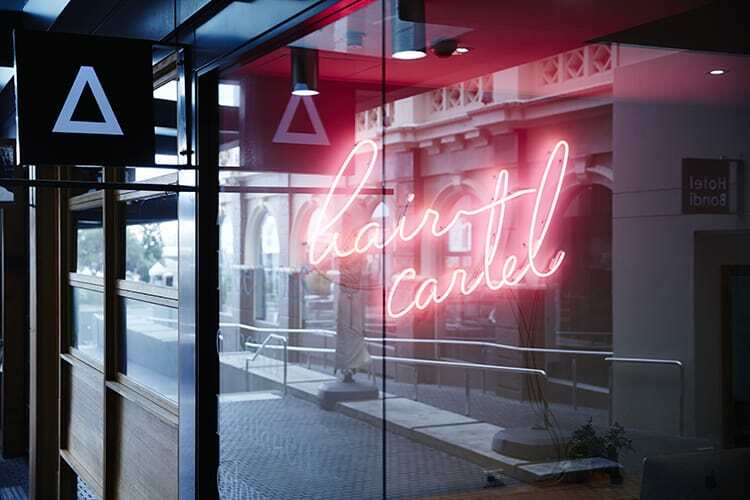 I’ve heard great things about Hair Cartel, so I’m looking forward to seeing what owners Belle and Mary have created. 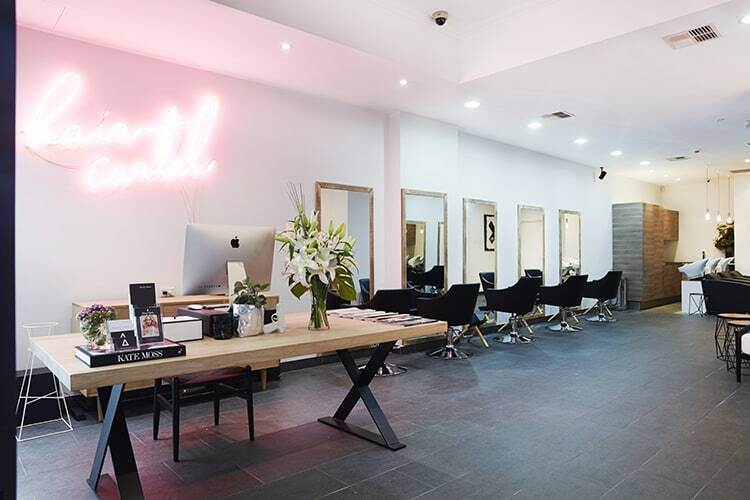 Walking into the stylish space I spot Mary’s cute pink lob (that’s ‘long bob’ in hairdresser speak) at the front desk – she runs the front of house and operations. I’ve actually known her for years – since she worked reception at Oscar Oscar in Paddington – and she tells me she and Belle met when they both worked at the Oscar Oscar Pacific Fair on the Gold Coast. 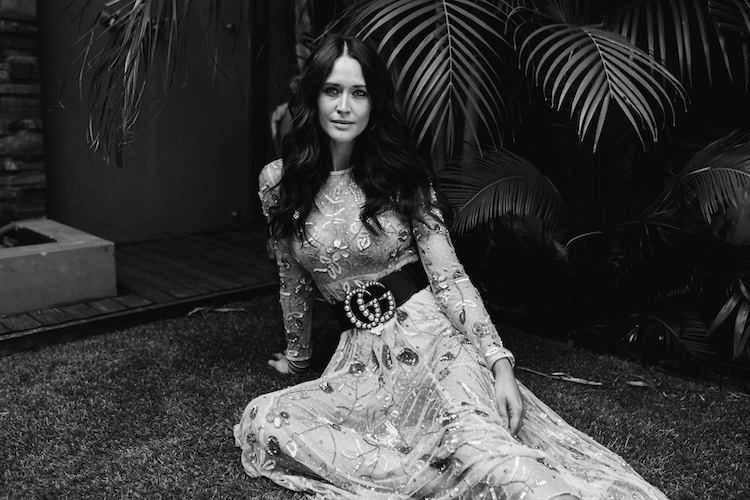 The two friends decided to go into business together when Belle moved down to Sydney to work as a session stylist. 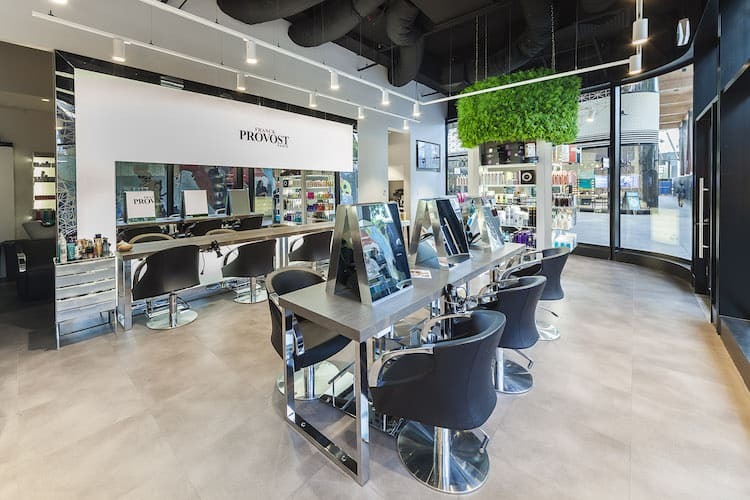 Although they are a full service salon, they pride themselves on what they call the 3 B’s “The Bondi Blowout, Braids and Blonde,” and were actually recently named as one of L’Oreal’s preferred blonde specialist salons. Each member of the team are Bondi locals and there’s a sense that they genuinely love coming to work (with a view like that across the road, who wouldn’t?). 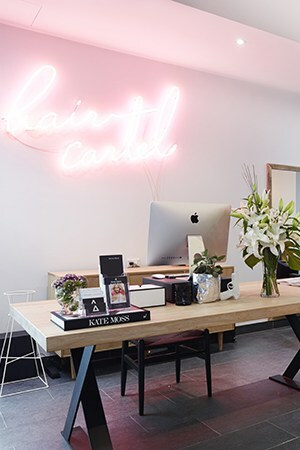 Mary adds that they have a diverse clientele – from bloggers to IT girls like Talisa Sutton, stylist Nicole Lucas and model Indi Clinton – as well as yummy mummy’s, execs and surfers, who have all been drawn to the salon by word of mouth and social media. “Since we have no foot traffic, we’ve had to be quite strategic the way we market ourselves,” she adds. 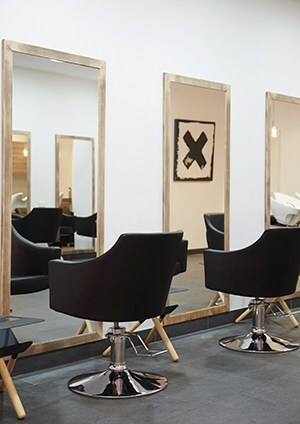 Testament to their start up nouse, the salon recently won the best new business at the local business awards. 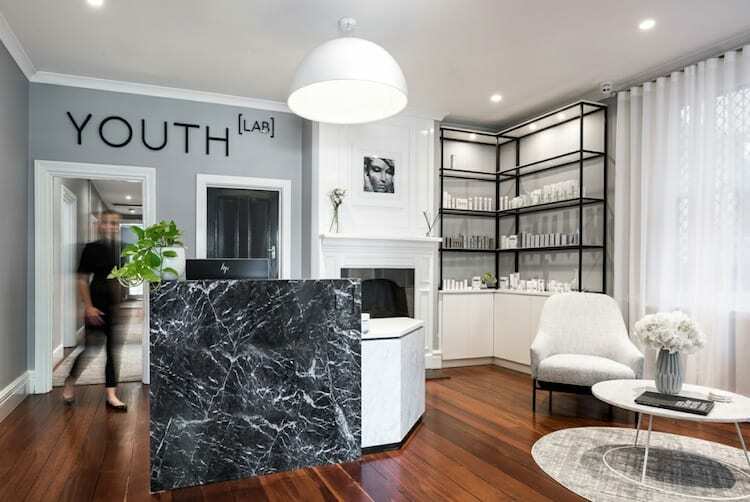 The Danish/Scandinavian inspired fitout is perfectly on brand – I clock a monochrome Rex couch and side table from Urban Couture. Swedish brand nud lights from MCM House hang over the wash basin and the shelves are lined with cool, sulfate-free brands R+Co, Evo and Mr. Smith. 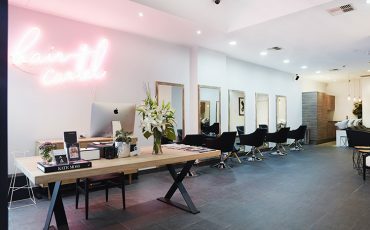 Belle – who is the salon’s creative director and has spent the last couple of months on the X-Factor styling team, as well as directing hair for upcoming labels such as Rebel + Stone, Annex, Assembly Label, and Nice Martin, sits me down and we have a chat about my hair. 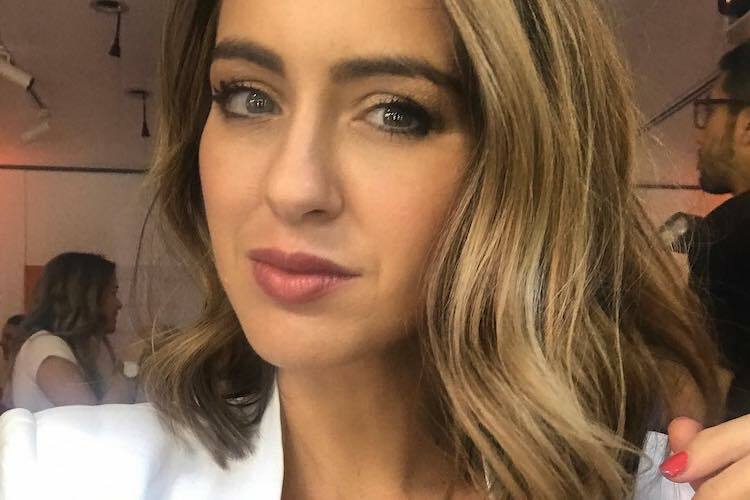 She asks me what I think of it now (I like the colour but it’s too brassy) how often I make it to the salon (not enough) and how I like to style my hair (wash ‘n go). We agree on a permanent tint in warm brown (Inoa L’Oreal by ammonia-free so it’s perfect for pregnancy) with some freehand balliage sunkissed highlights followed by an inch off and some soft texturising around the face. Too easy. In no time at all I’m happily ensconced with my laptop and a latte. Feeling a bit peckish, I order some Vietnamese Spring Rolls from Miss Chu next door. The girls tell me that after work they offer glasses of rose and red wine for those who are in the mood. 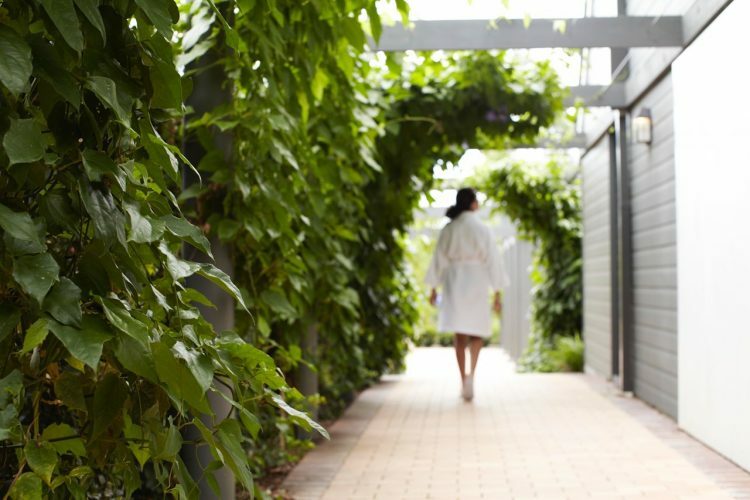 In a twist on the standard in-chair beauty service, they also offer express cosmetic teeth whitening which you can have done before, during or after your hair service. It takes 45 minutes and you leave with your teeth up to 8 shades brighter – I pass on this today but I love the idea of it post-bub. Two and a half hours go by in a flash and after a quick blowdry with R+Co Chiffon Styling Mousse, I shake out my shiny new strands. My highlights have been toned to perfection and are creamy and summery – giving definition to my previously lank strands. The layers fall effortlessly around my face and my hair has just the right amount of bounce. 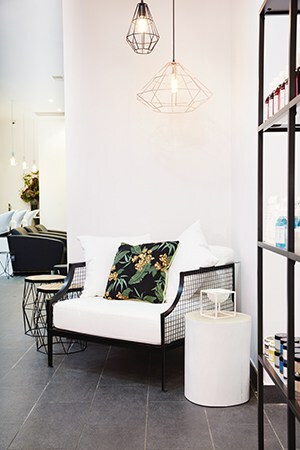 This friendly but fashion-forward neighbourhood salon can rival any of the Eastern suburbs set in terms of technical mastery, but it has a lovely relaxed beachside feel and of-the-moment appeal that goes hand-in-hand with its iconic location. 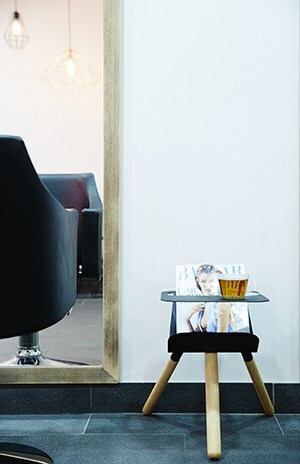 Hair Cartel are offering Beauticate readers 20% off your first visit – simply mention Beauticate at the time of booking.